Thanks to many of your partnerships and collaborations, we are overjoyed to welcome this Spring with a whole new list of Chocolate Beers! Check out all of the events we have coming up, including the Craft Brewer’s Conference in Washington D.C., and special Earth Day events in which our consumers can drink chocolate beer as a way to give back to the planet! Read on to stay up to date on all that we have coming up for April. Let’s collaborate and promote your chocolate beers as much as possible. Catch the buzz! For the first time ever, our Cholaca team is heading to the Craft Brewers Conference in Washington D.C.! We’ll be featured as the new special ingredient in the Country Malt Group and Brewcraft USA booth at this years CBC show. Come on by, say hi and enjoy a Cholaca sample with us at the show. You can also place your order for Cholaca through Brewcraft USA now! Craft producers such as breweries and chocolatiers appreciate Cholaca’s commitment to the environment and regenerative agriculture, as well as our unparalleled quality and intense chocolate taste, and are using Cholaca in their products in rapidly increasing numbers. Two Colorado companies, Copper Kettle Brewing Company and Nova Chocolate, are partnering with Cholaca to celebrate Earth Day (Saturday, April 22) and beyond, and a portion of the proceeds from their custom Cholaca inspired products, will go to regenerative cacao farmers through Yellow Seed, a conscious trade nonprofit. Nova Chocolate, a craft chocolate company based in Lafayette, Colo., has been producing chocolate of unsurpassed quality and purity since 2011. To celebrate Earth Day, Nova is launching a special Earth Day collaboration chocolate, Hops Truffles, made with Cholaca cacao, Amarillo hops, and malt syrup. The Hops Truffle will be available online, and in several retail locations beginning with Zavy Green in Lafayette. More locations will be added soon, and up-to-date information as well as online ordering of these special Earth Day release truffles can be found here: http://www.novachocolate.com/products/hops-truffles All proceeds from the truffles for the month of April will go to Yellow Seed. Saving our rainforests has never been more delicious! Come have a Mexican Chocolate Stout with us and Copper Kettle Brewing Company’s Brewmaster, Jeremy Gobien in their tasting room! 50% of sales of the stout will be donated to Yellow Seed. No RSVP necessary! Chocolate makes the Easter tradition come alive, so why not make our chocolate beers a part of this equation?! 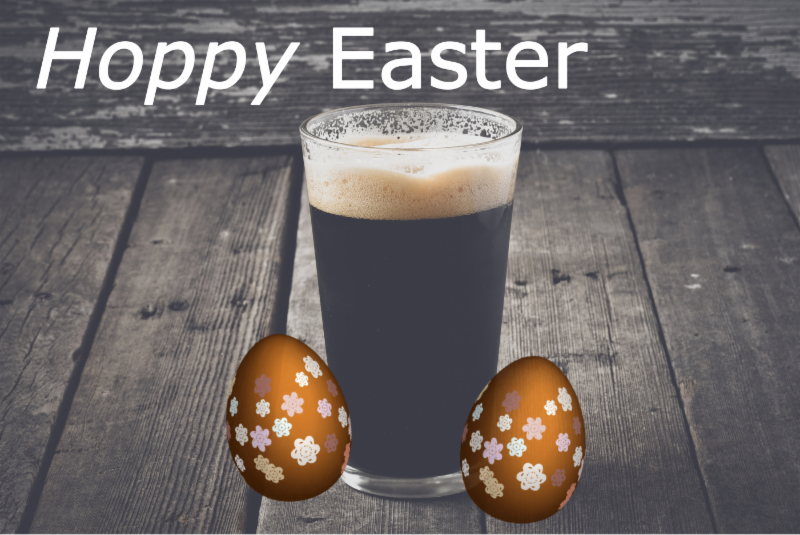 Let us know what chocolate beers you’ll be serving over Easter weekend so we can give you a shoutout via social media and let our consumers know where to go! Email marketing@cholaca.com for any special Easter festivities you have planned along with any pictures or links you’d like us to share!